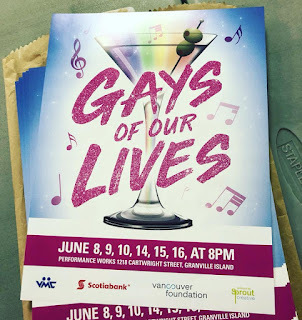 Last week the Vancouver Men’s Chorus started rehearsals for our June concert, “Gays of Our Lives.” So far we’ve seen only a few of the songs. Yes, there's a “Diva Medley.” Apparently much wine was spilled during meetings of the Music Selection Committee as they argued over what constitutes a true Diva. One of the songs for the show is from a suite called Naked Man, by composer Robert Seeley and poet Philip Littel. San Francisco Gay Men’s Chorus, the leather-granddaddy-of-all-gay-choruses, commissioned Seeley and Littel to write Naked Man based on interviews with members of SFGMC about their life experiences as gay men. I was at Naked Man’s premiere in July 1996 during my first trip to GALA, the quadrennial festival of LGBT choruses. Weeping together with an audience of other gay singers was an emotional milestone for us all. Since first hearing Naked Man at GALA, I’ve sung its songs as a member of the gay men's choruses in Chicago, Seattle, and now Vancouver. During those years the LGBT community and I changed together, and Naked Man’s various movements touched me differently. For example, I sang “Marry Us” at Seattle’s Central Lutheran Church for my friends Jamie and Eric’s wedding. Twice. (The second wedding was legal.) Other favorite movements include “We’re Not Lost, We’re Here,” and “Never Ever.” Most of Naked Man still holds up, even as It Got Better. Unfortunately, there’s no gay dad song. Times change. The song we'll be performing in June is the most powerful moment in Naked Man. SFGMC premiered the work at the deadliest point in the North American AIDS epidemic, when gay choruses regularly sang at members’ funerals. We didn't realize it at the time, but 1996 was just before new combination drug therapies radically changed the impact of HIV on our lives and deaths. “Dance On Your Grave” is a furious danse macabre, driving to its climax in a relentless waltz tempo. I vividly remember hearing the song performed while a frenetic corps of dancing cowboys stomped their boots on our brothers' imagined and remembered graves. Somehow I also associate the song with raucous New Orleans-style dancing skeletons. Singing "Dance On Your Grave" at rehearsal last Wednesday filled me with rage, remembrance, and relief. My parents’ names are John and Marcia. 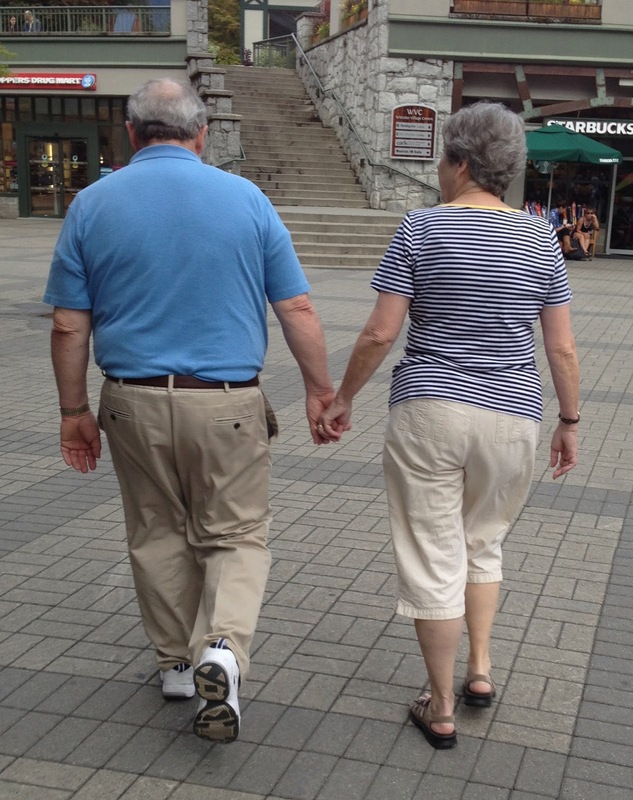 When they were courting at Utah State University, folks would tease them because the novelty song “John and Marsha” had been a radio hit in the 1950s. It's by Stan Freberg, a precursor of Weird Al Yankovitch. The song is a mini soap opera parody consisting of two characters (both voiced by Freberg) doing nothing but repeat each other’s name in varying intonations, reflecting the emotional roller coaster of their relationship. I have journeyed far from them. And I wear my father’s face. I still live among them. And my neighbors are my family. You can watch a 2008 performance of “I Come From Good People” from "You Can't Stop The Beat!," San Francisco’s Cabaret to Fight AIDS, in this YouTube video. "I come from good people." 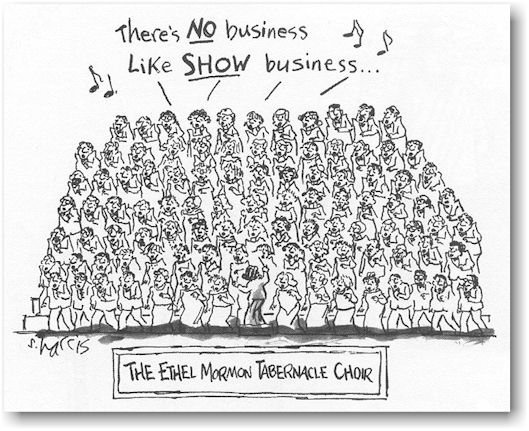 1This probably is a good time to mention Mark Twain once described the Book of Mormon as “chloroform in print.” Don't expect to read anything resembling songs from the fun Broadway musical of the same name, like "Turn it Off!" and "Hello my Name is Elder Price." Other than certain parts of "I Believe." 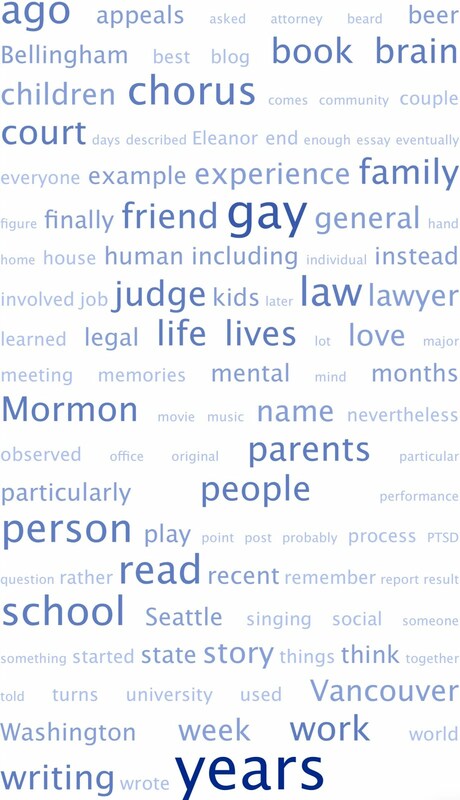 Goodly parents are just the beginning of the eerie correspondences between me and my Book of Mormon doppelgänger. Like Nephi, I too have seen many afflictions, and I was taught in the learning of my father. (Unlike Nephi, I also paid attention to the learning of my mother. )2 Sadly, like Nephi, I was only taught “somewhat.” I can’t milk a cow, play bridge or golf, re-wire a house, or bowl numerous strikes in a row. [Ed. note: Or bowl two strikes in a row.] Instead, I’ve learned from my father about work, thinking, parenting, patience, and kindness. 2The Book of Mormon's opening sentence is just the beginning of the LDS Church's long history of sexism. The entire Book of Mormon introduces only three named characters who are female. Isabel is a harlot. Abish is a Native American servant. (I visualize a Disney Pocahontas, or the receptionist from Northern Exposure.) I approve of the Book of Mormon's choice for the third woman to get a name: Nephi's mother Sariah. Unlike Nephi, I haven’t felt highly favored for a long time, other than the good fortune of adopting my three children a few years back. God and goodness remain a mystery. Nevertheless, when twenty years of writer’s block finally lifted last year, like Nephi I began chronicling my own days. As you may have figured out from reading my story: when my life disintegrated over the last couple of years, living in the same place as both my ex and my parents was an inestimable blessing. This was particularly noticeable having recently spent nine months as a fulltime single parent alone in Seattle. Not just because of the free babysitting, handy pickup truck, and excellent meals. I appreciated my parents’ enduring love long before I moved here for a doomed job. 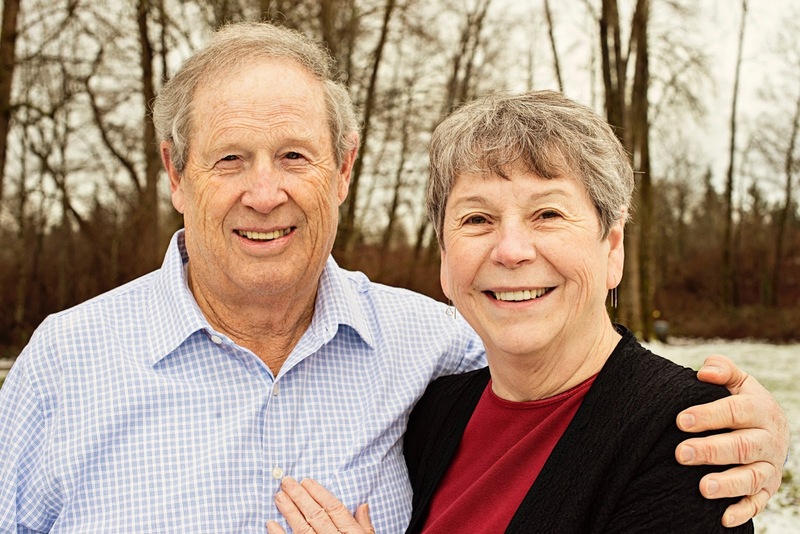 They’ve lived in Bellingham since 1981, in a house my father has remodeled to death. Their home has always been my refuge. Over the decades, my parents would revive me as I staggered home and collapsed after finals, failures, and breakups. Like the Ugly Duckling’s parents, they patiently supported my perplexing passions and strange dreams, even though they didn’t understand or share them. They welcomed my partners and then my kids. Even as devout Mormons, my parents have always been gentle but firm advocates for LGBT acceptance and inclusion. Every day they provide the safety net inches below my precariously dangling children and me. No one in my family talks about our feelings, but we'll joke about anything. For example, everybody knows the only reason my brother got his cancer diagnosis last year was because I’d been drawing too much parental focus as an unemployed single dad with Post-Traumatic Stress Disorder. (Come on, how could you not notice a slow-growing tumor the size of a grapefruit? Our younger brother's lung carcinoid was only the size of a Brussels sprout when he upstaged his own newborn son.) Similarly, I regularly remind everyone the trauma underlying my PTSD is entirely my parents’ fault: raising me Mormon, moving me from heavenly Vancouver to a hellish small town in Utah just in time for junior high, letting me go to BYU…. Just kidding, Ma. Mostly. I forgave them. I've never blamed my parents for the not-talking-about-your-feelings thing. Everybody was like that back in the day. Plus we come from dour Mormon pioneer stock. 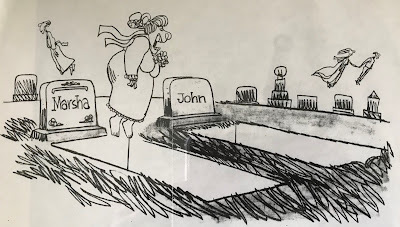 Between snarky jokes, I'm sure my three brothers would agree this reticence suits us – to the exasperation of my three sisters-in-law and all my exes. Besides, as I’ve written before, I wouldn’t change anything about my life that occurred before Spring 2011, because it all led me to my daughters and my son. Thinking about my parents' role as I've faced codependency has been more of a challenge. In addition to the often unhealthy dynamic between addicts and their enablers, “codependency” refers more generally to an emotional and behavioral disorder that affects an individual’s ability to have healthy, mutually satisfying relationships. Codependents grow up in an environment where they never develop the necessary tools for valuing and expressing their individual identities, or for maintaining healthy personal boundaries. 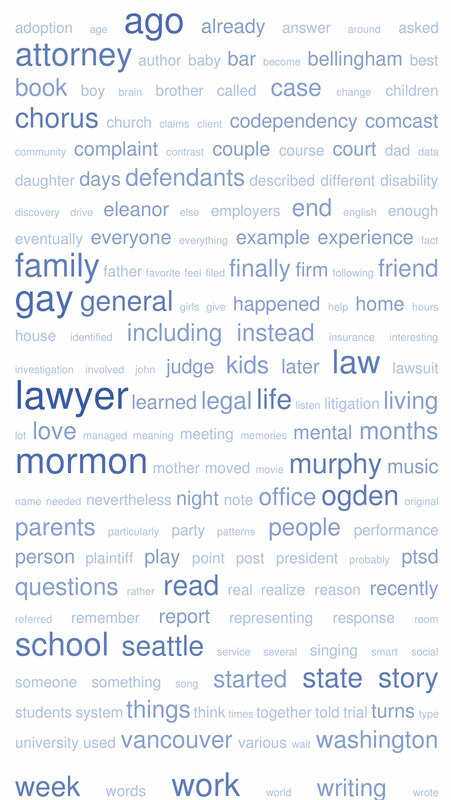 Two years ago, my authoritarian employers’ incompetence triggered PTSD symptoms rooted in the traumas I encountered as a perfectionist, closeted young gay Mormon. Those same formative experiences also made me codependent. 3As the short documentary linked above recently reported, "suicide rates are skyrocketing and are now the leading cause of death for Utah youth. The youth suicide rate has tripled in Utah since 2007 [i.e., ever since the Mormon Church's aggressive anti-gay campaign to pass Prop 8] – jumping from three out of every 100,000 youth to 8.5, an alarming increase not seen anywhere else in the country." Even in the darkest hour, I’ve never felt alone. Because I come from good people. I remember your parents... They are good people. Would love to see them again.